Sadly the video is without sound, but I guess you get the idea. Retroarch has keyboard and XBox360 Controler preconfigured. You might have to adapt that if you use a different device and put the device configuration in (/home/odroid/.config/retroarch/retroarch.cfg). To configure controls for mednafen just start a game and hit ALT+SHIFT+1 to setup controls for player 1 and so on. On the first start XBMC wants to import the games since the database is empty. I would advice to go for Interactive since you can choose what game it really is. Please Note: Importing games can take quite a while, since it's downloading covers and info textes over different server. You should NOT put your entire collection on the SD card right away cause this might take HOURS to import all games. Kodi requires Crypthography in version 1.7. How can I solve this? As root you can run the following command, which will update the driver to version 1.7. How do I upgrade to Kernel 4.14 LTS? Make sure you install Kernel Headers as well, as they are required to build DKMS modules used in this image. Kernel 4.14 comes with a performance hit of about 15% throughout all emulators although it offers other features, like G2D and hardware accelerated ffmpeg support. How can I update to Kodi 17.x (or later)? should allow you to update to Kodi 17.x. Since the XU3 has more power games and emulators run more fluently. 3DO, PCFX, NDS and N64 run a faster. In gernal i would say the XU3/XU4 is about 50% faster than the U3 doing the same tasks. generally this update brings the image to the same level as the U2/U3 image which some additional bugfixes.. It also fixes the issues with MFC and CEC thanks to OverSun. Image now uses Debian Jessie which offers very modern drivers and applications while still being very stable and fast. You can now play dreamcast games with this image as well with up to 4 players. In order to do so you need to place the BIOS files for Dreamcast (dc_boot.bin and dc_flash.bin) in the /home/odroid/.reicast/data folder. You might also have to start the emulator without a game once to "format" VMUs in order to save your games. In /home/odroid/.reicast/emu.cfg you'll find the configuration of reicast emulator. This normally should be fine and does not need to be touch. In some cases you might want to change the evdev_device_id_X = Y configurations. These configuration options define which device under /dev/input/ should be used for Joystick/Gamepad support. evdev_device_id_1 = 3 would mean, for the first Dreamcast gamepad the device 3 should be used, which would be /dev/input/event3. I created two new folders CPS1 and CPS2. 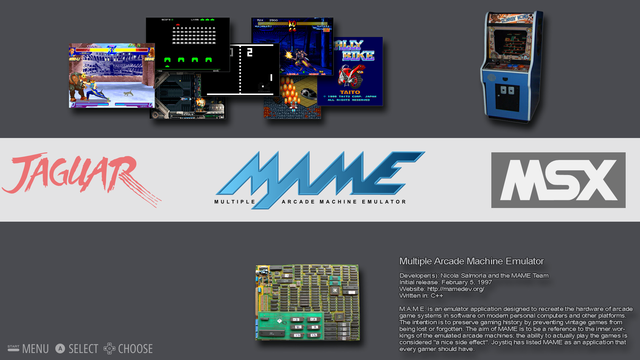 These are two types of MAME ROMS which are very good supported with the fbalpha core. I also switched the starter for NeoGeo roms to a fbalpha core since they seems to work much better. If you exit XBMC and get a black screen issue, press CTRL+ALT+F that should fix it "for the moment". Sadly there is still no permanent fix for that issue. It also prevents me from updating to Kodi. EmulationStation is now preinstalled and can be started as a default frontend. This is just a basic support. I'm no big fan of EmulationStation, and it seems to have some issues under X11 (does not always return to EmulationStation frontend after you quit a game). 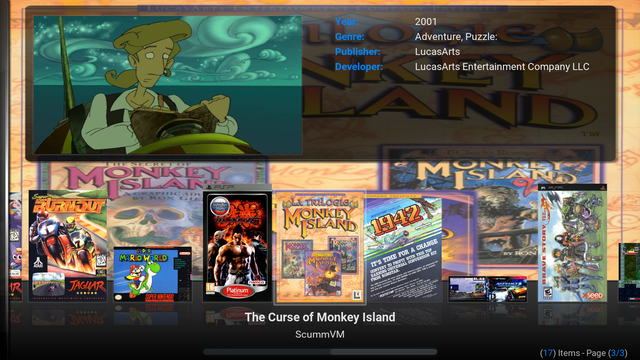 But if you want to use it instead of XBMC you can now choose it as a default fronend in ODROID GameStation Turbo Setup. If you have any idea of improving this, let me know, i might include it. The ODROID GameStation Turbo setup script gives you options to switch between XBMC (or Kodi) and EmulationStation as default frontend. It also gives a lot of other options to fine tune your image (such as setting up your language). setup-ogst package through normal system update (apt-get dist-upgrade). I've updated the kodi-odroid package to stable version 15.1. Although it's working on XU3 and all other boards I would HIGHLY advice NOT to use it on the XU3/XU4. It's causing the black screen issue even while simply watching movies! If the black screen issue would have been fixed, I would have switched to Kodi with this release. Please note: right now Kodi 15.1 is build without CEC support, since Kodi 15.1 requires CEC version 3.0. If you switch to Kodi you should also install the package ogst-starters-kodi for Kodi launchers of the emulators. Added DVD support to Kodi, previous versions didn't work due to driver issues. Fixed an issue with fs-uae where all games would share the same save states. Kodi toggle is a small script I wrote to quickly start and end Kodi. If you're are on Desktop and Kodi is not running CTRL + ALT + K will start Kodi. If you are in Kodi and press CTRL + ALT + K, Kodi will be forced closed. The last one is usefull on times when Kodi is "hanging" when you try to exit it (for example if you use CEC). Using dolphin emu allows for playing of Nintendo Wii and GameCube games. This is an older version of Dolphin Emu, which still supported armhf as an architecture. Newest versions of Dolphin only support arm64. 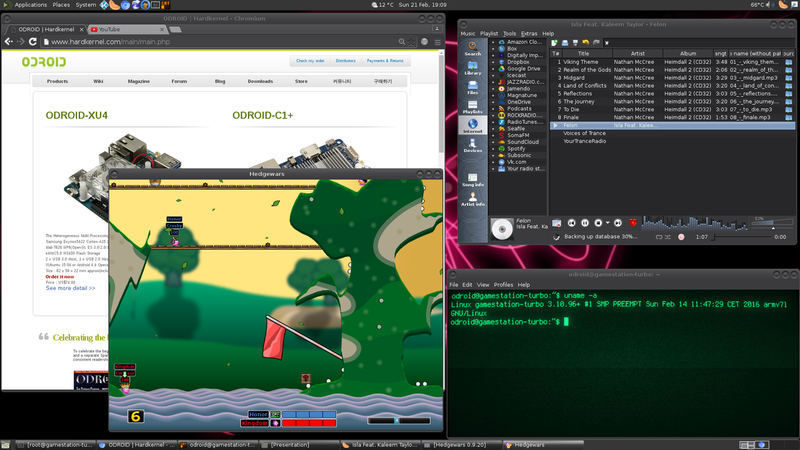 Also Dolphin requires OpenGL ES 3.x which makes the XU3/XU4 currently the only ODROID boards this emulator will work on. Still since most optimizations require a 64bit processor, this emulator is still quite slow, it's nice for a little show off, but games are barely playable. 2D games/scenes are rather fast and full speed, but 3D elements are very slow. So don't expect much from this emulator, as I said, it's mostly for showing off. Amiga 1200 (AGA) support is added through fs-uae. This was added to allow you to play the graphical enhanced AGA games of the Amiga which run best on a Amiga 1200. Settings were optimized and the emulator should work for Exynos 4 and Exynos 5 board from HardKernel (ODROID X2/U2/U3/XU3/XU4). If you overclock your ODROID X2/U2/U3 to 2GHz most games should run full (or nearly full) speed (tested with Banshee AGA). The C0/C1/C1+ is currently unable to handle Amiga 1200 at all. This is most likely a limitation of the emulator. There are other emulators such as uae4arm which give better performance, but fs-uae generally has the better features. ROMS go into /home/odroid/ROMS/AMIGA1200 either as .adf or .adz disk image files, or as .zip files including .adf or .adz files (for games with multiple disk). Same as Amiga 1200 but with Amiga CD32 images. (Also tested with Banshee CD32). I've replaced the old fs-uae-gles emulator (a hack to use GLESv1 instead of OpenGL) with the current version of fs-uae from upstream project. It uses gl4es (Wrapper for OpenGL -> OpenGL ES) to work in the same way. It's a more advanced version of the fs-uae emulator, and might see some arm dynamic recompiler in the future. I've created 3 config templates under .config/fs-uae for A500+, A1200 and CD32. These config files are used as templates and are copied once you start a game. This fixes an issue with save states, which were shared in the past but now each game has their own save states. I also changed the accuracy from 1 to 0 on all templates, this should boost speed of the emulator quite a bit, on the cost of some compatibility. There's also an option to use -1 instead to boost speed even more, but some games won't work anymore (tested with Banshee AGA/CD32). Save States are stored under /home/<USER>/Documents/FS-UAE/Save States/. FS-UAE is a very complex emulator, it also allows to use HardDisk files so if you want to explore the capabilities of this emulator I encourage you to check out the options on their WebSite to create own configs. L1 and R1 on XBox 360 controller should double as left and right mouse buttons, since some games require this to skip demos and such. Similar to the CPS1 and CPS2 there's now a separate core for the CPS3 as well. It's very small since there are only a few games for it and therefor saves a lot of ressources. Check your rom files; if they contain for example files like: jojo-simm1.0 jojo-simm1.1 sfiii-simm1.0 sfiii-simm1.1 then they are fine. If instead they contain files like 10, 30 40, 90 etc. then these roms won't work. You could still place the same ROMS in the FBA or MAME folder and they probably run as well, but the cores are much bigger and use more ressources (~300KB CPS3 libretro core vs ~130MB MAME libretro core). EasyRPG is a reimplementation of RPG Maker 2000 and RPG Maker 2003 engine allowing to play these games on modern system including ODROIDs. Games should have a "Game-Folder" inside which is the RPG_RT.ini and other game files. ONLY RPG Maker 2000 and 2003 games are currently supported. These packages are for "free" but are not allowed to redistribute, so I can't include them into the image. You can download them and install them on a Windows PC or use WINE to install them on a Linux PC. Copy the RTP folder over to /home/<USER>/ROMS/EasyRPG/RTP2000 and /home/<USER>/ROMS/EasyRPG/RTP2003 if needed. The path is already included in the starter, so make sure you name the folders correctly. I've added a build of ResidualVM which was optimized by @ptitSeb to use OpenGL ES 2.0 for hardware scaling and drawing. ResidualVM is a engine similar to ScummVM but only supports some 3D games. The games that are officially supported are: Grim Fandango and Escape from Monkey Island (Monkey Island 4) and Myst 3 Exile. There was work done for The Longest Journey as well, but a lot of features are still missing. I've added Hatari emulator for Atari ST, STE, TT and Falcon computers. The emulator requires a bios file called tos.img in the folder /home/<USER>/.hatari/. I provide something called "EmuTOS" which is an opensource remake of the original Atari BIOS. Since these are computers they often require the input of keyboard or mouse commands, therefore I mapped the mouse to the right analog stick of your gamepad (XBox360 by default) and used the left shoulder button for left mouse click. The button A is mapped for fire, B is mapped as "Space", which is often alternative fire (for example in Turrican), the D-Pad is direction keys on a gamepad. There are many different options for the emulator I go by default with a Atari Mega ST with 4MB RAM and MMU. I found this was working for many games, but probably not for all. Sadly I'm rather new to Atari and don't know if this is the best default or not. You can change the settings by pressing F12 on the keyboard. VirtualJaguar is a Atari Jaguar emulator and much faster and more compatible than the current virtualjaguar libretro core. Thanks to a lot of optimization from mostly @ptitSeb and myself this emulator runs rather well on the XU3/XU4. The U3 is also able to play some games nicely (but not all). Overclocking your ODROID X2/U2/U3 to 2GHz should give you decent performance on many games, but even with 1704 MHz it should work fine for some games (tested with Rayman). Although I created a version for C1 as well it's probably not worth trying. 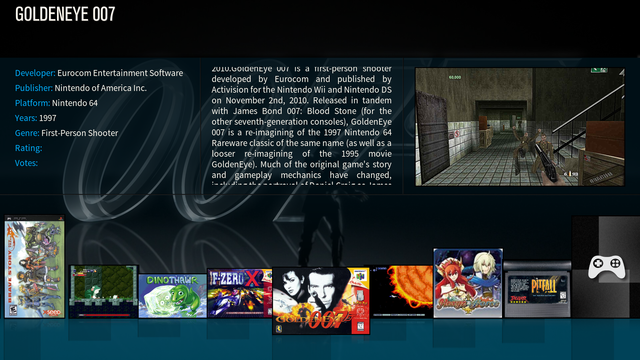 Yabause is a Sega Saturn emulator and replaces the libretro core (with the same name). It's faster and highly optimized thanks to @ptitSeb and myself. It has two differnt fronends Qt and GTK, while I prefer and setup Qt, GTK works as well, and I found at least one game that only works with GTK, but there are more games that only work under the Qt version, so I stick with that, it's also slightly faster. It uses @ptitSeb's gl4es for scaling which makes it quite fast. The emulator has very high demands, and might only work on the XU3/XU4, it might work on the U3 if you overclock it, but I wouldn't count on it (C1 don't even try). I've created a start script that uses cdemu in the background to mount images, since many images for the Sega Saturn come with audio tracks which could not be played otherwise. The emulator will use /dev/sr0 (first CD device) for the games, if you have a CD-Rom connected, this might cause issues. You can change settings by pressing CTRL + S in the emulator. Here you can adapt controller config which is currently mapped for a XBox 360 controller. Please note, that even on the XU3/XU4 this emulator won't always run full speed. If the controller doesn't work to exit the emulator, you can press CTRL + Q to do so. Atari 800 is an emulator for Atari 8 bit computers 400, 800, 1200XL, 600XL, 800XL, 130XE, XEGS as well as the Atari 5200 console. You can use F1 to configure the emulator if needed. I've preinstalled moonlight-embedded which can be used if you have a Nvidia GeForce 660 or higher to stream games from your PC to your ODROID. This allows you to play your games on TV, even with controllers and such. I also preinstalled Luna which is a Kodi addon that allows you to use Kodi as a launcher for your Nvidia GameStreaming games. Together with scrapper for the games. I added the user to the video group. The video group has access to /dev/fb0 the framebuffer device that draws what's on the screen. This is good, cause it allows for vsync since now programs know what frequency the TV/Monitor is running on and can adjust accordingly. This reduces (removes) alot of the tearing issues on the XU3/XU4 especially with 2D sidescollers and platformers. Sadly some programs have major issues with this information. Mupen64plus for example will always run too slow. Games that should run on 50 FPS (PAL games) will run only on 40 FPS, if your TV/Monitor runs on 60Hz. If your TV/Monitor runs on 50 Hz instead it will be even less and the game runs only in 32 FPS. Something is really wrong here. Same goes for moonlight you will have delays of up to 15 seconds. Which is unusable in 1080p60 Hz. Only 720p@30 Hz will work correctly. I've wrote a script and added entries to for sudo to allow this script to run by the user. This script will alter permissions for /dev/fb0 so the group video has no longer access to the information of this device. With that both N64 and moonlight are working fine again. Other programs might need this as well, if you encounter speed issues with other programs/games let me know, and I will try to adjust the start for these programs. I've updated all cores for retroarch and added some new as already mentioned above. Many cores were renamed by the developers and I cleaned out cores that were double or renamed. I also splitted all cores in individual packages rather than having one huge packge (retroarch-cores-good and retroarch-cores-bad). The old packages are now meta packages for the cores. This allows me to update single cores rather than updating the entire packge all the time. I also updated my build process and increased performance of most cores. Genereally I saw an increase of performance between 5~10% depending on the core. Most of the cores this won't matter, but some cores can benefit from this. 4do core performance nearly increased by 20% due to better optimization, where when you use a XU3/XU4 this means most games should now work close to full speed. PCFX performance also increased over 21% which means the game should run very nice and smooth now. TyrQuake core increased performance about 13% which allows for steady gameplay at a high 1280x800 resolution on the XU3/XU4. virtualjaguar core increased performance around 40% which sounds great, but the core is far from being full speed, therefore I use the standalone emulator now, which has much better performance, thanks to some heavy optimization from @ptitSeb. The biggest step forward is the picodrive core. Although working perfectly fine in the past, it never had dynamic recompiler working. I was now able to activate it, and I can say it's very hard to track the increase of the performance, but it's probably over 140% faster than before, means it's more than twice as fast. This allows for very good Sega32x emulation, which was somewhat laggy in the past, especially on slow devices such as the ODROID C1 which weren't able to play Sega32x games, this should now be possible. Recently there were a lot of improvements on the libretro front and I will probably update cores soon again, or maybe switch out some cores. There are new cores for N64 which may work much better than the old ones and other stuff I want to look into. So stay tuned. For more informations follow the link in my signature to the U2 forum which this image is based on. Some games are known to have tearing, especially 2D side-scrollers. With the latest drivers this should be reduced, but not 100% fixed. The new GPU drivers, although having better vsync and less tearing, are a little slower than the old drivers. Last edited by meveric on Tue Aug 23, 2016 12:40 am, edited 19 times in total. This post was removed to prevent confusion, since the newest image already has the fixes needed. Last edited by meveric on Sat Jan 31, 2015 11:04 pm, edited 1 time in total. probably the same issue with MFC - kernel driver crash after ff/rewind. memeka wrote: probably the same issue with MFC - kernel driver crash after ff/rewind. Any solution for that already? No, there's no solution for that yet.. I downloaded and installed the MATE version. On first couple of boots i was able to exit xbmc onto desktop. After first few boots it gives black screen and cursor only. Adding wifi brings up the standard popup of network, and then of course black screen. There was no folder "N64" also. 1. Is the admin password just the standard debian one? 2. How do I stop autorun of xbmc? 3. How do I change the default folder for ROMs? I have 30gb ROMS but only 16gb emmc. I want to use external storage. On first couple of boots i was able to exit xbmc onto desktop. After first few boots it gives black screen and cursor only. Did you do the Kernel update and XBMC update as described in second post? Please note: This image is still not stable since i don't have any stable GPU drivers, and XBMC has issues on XU3 as well, until this is fixed, this is some kind of beta image. morbid42 wrote: Adding wifi brings up the standard popup of network, and then of course black screen. There was no folder "N64" also. Yepp, i kinda forgot the N64 folder when trying to include all the updates i had for the U3 version, but it's just the folder that's missing and it can easily be created. morbid42 wrote: 1. Is the admin password just the standard debian one? as for most ODROID images the password is "odroid"
morbid42 wrote: 2. How do I stop autorun of xbmc? morbid42 wrote: 3. How do I change the default folder for ROMs? I have 30gb ROMS but only 16gb emmc. I want to use external storage. There is no "the folder" each folder in the ROM folder has it's own configured path within XBMC which makes it a pain to exchange the folder. Thanks for getting back to me, appreciate it! I work long hours and dont get the time i used to have to figure everything out myself. I meant i was going to try the lxde version, but on thinking about it, the only change is the gui? I never got to update it. 1st boot had only mouse to allow partition resize and to play about. 2nd boot had keyboard, mouse and usb stick. 3rd boot had everything connected to hub, with addition of wireless. It was the 3rd boot that the black screen appeared so could not update via terminal. Thanks for answering my questions, i understand the answers and will give it another 30 mins tomorrow. yepp LXDE version is just a different GUI since MATE is basicly GNOME 2 it should support more applications that integrate in the GUI than LXDE has and offers better features when it comes to customization. so the GPU drivers are working - did @mdrjr compile them with old glibc support? nope i had to mess with it myself but GPU is running on the image "just fine"
i'm also using stock Mali-Dev drivers right now, not the one from HardKernel, not sure if there are really any differences.. I just found a few different functions, but non related to EGL, GLES, or so on. so how did you made them work? Just a dirty hack right now with glibc 2.15. I actually also have a Debian Jessie Image, but i'm not sure which one is more stable. what hack did you do? Ubuntu 12.04 is using glibc 2.15 i used theirs to get the GPU drivers to run. Not a very good solution, but since glibc should be downward compatible i don't expect too much of an issue. There is still an issue with the auto update of the exynos5422-odroidxu3.dtb so it has to removed manually again. Hopefully that's fixed with this version now and the next Kernel won't complain about it anymore. I updated MATE version as stated in post 2. I think there were 2 warnings about the current kernel matching the one to be downloaded, and that changes take affect after next boot. The black screen error still occurs after update but i disablwd autostart of xbmc. Just need to do what you about the home/odroid/roms. Need to google how to setup my tvheadend, gave it a go last nite but the method used with openelec (connecting to odroid ip) doesnt work. yepp the warnings are normal.. you just have to answer "NO" since it's kinda asking if you want to stop.. after a reboot the new kernel is active. The black screen issue is strange.. can you check which version of XBMC is installed? The image is not very stable, espcially with XBMC, switching between games, or videos can cause the image to crash completly. But i'm gonna put more testing into it to see if there's really only issues happen when using XBMC. Then I replaced the ROM folders in home with symlinks to the folders on the external drive and didn't have to change anything regarding emulator configuration. That is good advice for ROM folders. I noticed that the image already had ppsspp installed without having to use xbmc. Here you can specify your folders. I also assume you can download other emulators (for n64 and psx). Is the reason for xbmc just to have an all in one media centre? Or does it perform faster (when bug free and all drivers etc present?). I already have a media centre on a neo x-8h that performs flawlessly and the xu3 android img cannot even compare to it. All im after is to be able to use an emulator and i think i could just forget about xbmc on this image. Android image, no sound over hdmi and ps3 controller doesnt work, so its no good. Ubuntu image, any site i google on how to install emulators for ubuntu does not work for whatever reason. i use XBMC as an frontend for the different emulators.. with that i can specify which path it should use for the roms, which emulator to choose for which roms, i can load additional tools and settings such as antimicro to configure different joystick scenarios, it offers a preview of games and i can watch movies over it.. it's an all in one entertainment solution for me. I gave an U3 with that image (where it works perfectly without issues) to my nephews (7 and 4 yo.) it's completly controlled over XBox Controller, no Mouse, No Keyboard.. They play games and watch movies.. nothing else is missing. Regarding the ROM folder on a different device.. just copy the folder "as is" on an external device and then mount the external device directly in /home/odroid/ or /home/odroid/ROMS depending on what you copied. can be done within fstab. very easy to do actually. you don't need to create tons of links. How can i use a Dualshock 3 for PS3 with Gamestation, instead of Xbox Controller? Awesome! Thanks for this! How does it play N64 or PS1 games? PS1 games should run without issues.. N64 you have to try.. some games work nicely others are rather slow. If it can play Ps1 games then I assume it'll have no problems playing SNES games like Starfox that use SuperFX ? SNES and SuperFX should be fully supported.. check the first page there is a list of all available emulators. Also, only A and B work on my wired 360 controller, not d-pad.. How do you exit retroarch? Nope since XBMC Rom Collection Browser is what's used to collect artworks and stuff there issn't a faster way, unless you download everything manually and choose to use local artwork and local info... but that would require collection everything beforehand and wouldn't be any faster. Besides that, i wouldn't use the automatic mode anyway it only guesses what it could be and issn't always what you want. You should do it manually which normally gives much better results. I wouldn't import hundreds of games at once that's gonna take very long time and you probably won't play them all at once anyway.. besides that 500 games requires 500 times of downloading covers.. that will quickly result in very much used space. opie wrote: Also, only A and B work on my wired 360 controller, not d-pad.. How do you exit retroarch? Not sure why your controller is not working, i'm using wireless 360 controller and it's 100% supported i guess if the issue is with retroarch, then you have to remap the buttons using "retroarch-joyconfig" from a terminal and copy the result in the config file unter /home/odroid/.config/retroarch/retroarch.cfg you exit retroarch with ESC or what i did to map it on a button pressing the left analog stick. So ive finally had time to setup my games. I mounted my usb - /etc/fstab reads "/dev/sda1 /home/odroid/ROMS/ vfat rw,user,exec,umask=000 0 0", permissions changed to allow artwoek to be downloaded. All the files and folders in the original ROMS folder is present. And now the million dollar question lol. How do you actually play any game??? I assume click on the name of game. All this does is switch to desktop, open small terminal at top left, then a black screen, with the odroid showing a steady flashing blue led. I have to switch off odroid at plug. Have i missed something? ODROIDs: ODROID XU3 - soon! Hi, I'm about to purchase an XU3-lite for the sole purpose of using the device as an emulation machine on the big living room TV. So I'm looking for a nice frontend to boot into, I have had emulation station in my mind for a while but I'm wondering if someone could please post some pics of how this looks when it's running please? Would be nice to use this as it's all set up already but I'm just wondering what it actually looks like. That's an rather old video but true none the less..
Just make sure the file names of the movies and the roms do match. Besides that it offers everything normal XBMC offers.. Movie Playback, Pictures, Music, you name it it has it. Thankyou, that looks excellent. And with your image I could just hook up a wireless 360 pad and that would control everything? yepp that's what i use and also gave for my little nephews, they don't have keyboard or mouse at all. First off thanks for taking the time to build, test and share this image!! I'm using an XU3 Lite. I loaded up your image and it was working very well. I then followed the instructions in your 2nd post. It installed the new kernel without any errors. But, after shutting down and restarting, the red and green LEDs are on solid on the XU3, the fan runs continuously, and it doesn't boot. Doesn't even show the boot prom. I've reloaded it and done the same thing twice with the same results. hmm depends on what happens during the update process..
Are you sure the updated completed successfuly? can you copy the output during kernel update here? There are several things that might fail, such as copying the dtb file or something similar. I haven't been on the XU3 for a while so i might check on the image soon again. Can you give a list of the /boot folder what files are there and probably also what dates they have? RainMaker wrote: First off thanks for taking the time to build, test and share this image!! After a few attempts, turning fully off and on it starts to boot. I could check that if a very fast blink on blue light occurs when i plugged the power cable, it sucessffuly start. I'm checking others distros for the same behavior, until now this one and official ubuntu 14.04 have this issue. But thing stays the same, if you don't answer the question there's nothing people can do to help. unfornettly thats is true... i made a few tests about the boot with or without the "apt-get ugrade && apt-get distr-upgrade" and the behavior still the same. It's possible that something is phisically wrong with XU3 ? well, if you don't update the image should work as it is, there were some things fixed with the newer Kernel, but at least booting the image should work fine. And you say the image does not boot correctly? Can you describe in more detail what happens if it does not boot correctly? Do you have UART or access to another Linux PC so you can access different log files? Last edited by meveric on Mon Jan 05, 2015 11:40 pm, edited 1 time in total. meveric wrote: well, if you don't update the image should work as it is, there were some thinks fixed with the newer Kernel, but at least booting the image should work fine. Yeah, that's correctly. Actually even with the original image file the boot doesn't work as it should. - At first power on (plugging the energy cable) if the XU3 turn the leds red + green or red+ blue it doesn't start but if the red +green and a fast blink on blue occurs, then it is fine. Well, i don't have UART access but have a raspberry and some VM. Which log files we need ? dmesg and syslog would be the most interesting i guess..
maybe dmesg.0 or dmesg.1.gz could be interesting as well depending on how often you restarted and it worked/did not work. Registered just to point out that I'm also having the no-boot problem - everything appears to be working fine with the LEDs and all, but there is no video output whatsoever. Will get logs and such when I can, just wanted to point out that this may be a big problem. I've tried re-imaging the emmc (using the windows utility) 4-5 times now. Going to try with dd next. nukularpower wrote: Just wanted to report that it seems to be working for me fine now, after burning with dd. Out of curiosity, does the image support a PS3 dualshock controller? I ask because bluetooth adapters are easier to come by than the proprietary MS one for the Xbox controller that I've seen mentioned aplenty. gnerally yes it's working, but all the emulators are setup to use XBox360 controllers... so you would have to change the controller setup to match PS3 controller or use something called xboxdrv which can change other controllers to mimic xbox360 controller setup. meveric wrote: dmesg and syslog would be the most interesting i guess..
Hmm the log looks strange like it just ends in the middle for no reason. I've seen you have a 3TB harddrive connected, does this happen without the harddrive as well? I'll try to upload a new image soon and have newer kernel and the fix described in my second post already included, so you can check if that might work for you better. meveric wrote: Hmm the log looks strange like it just ends in the middle for no reason. Well, the first boot was a fail one (didn't find a corresponding information about it ) and the second, even with the strange end of file it was a sucessfull boot. There is some way to log "all" boots ? Or thoose fail one's are not even getting to the system ? About the update (second post), i'm using the clean image right now ... seems much more stable (playback of xmbc works great with a little bug on ff and rw) but afeter the upgrade its impossible to play more than once (a know mfc's bug as far as i know).